The Robe a la Turque - Progress! I promise, I HAVE been sewing. Promise! It's just been sllooowwwwwww. 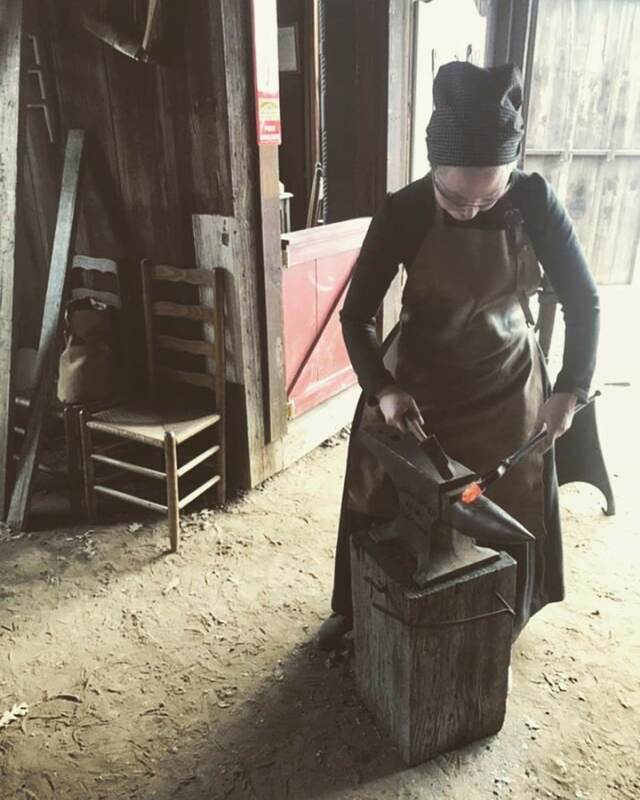 It's time to light a fire under my split bum, though - Costume College is in a few short weeks and there is much sewing to be done! 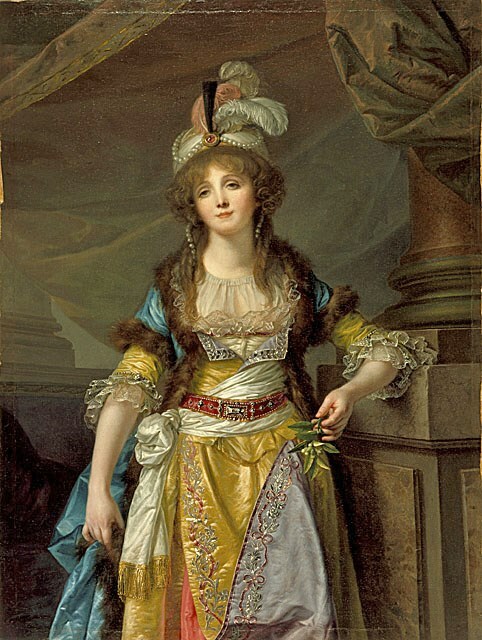 A refresher - Mademoiselle Guimard by Jean-Baptiste Greuze, c. 1790. 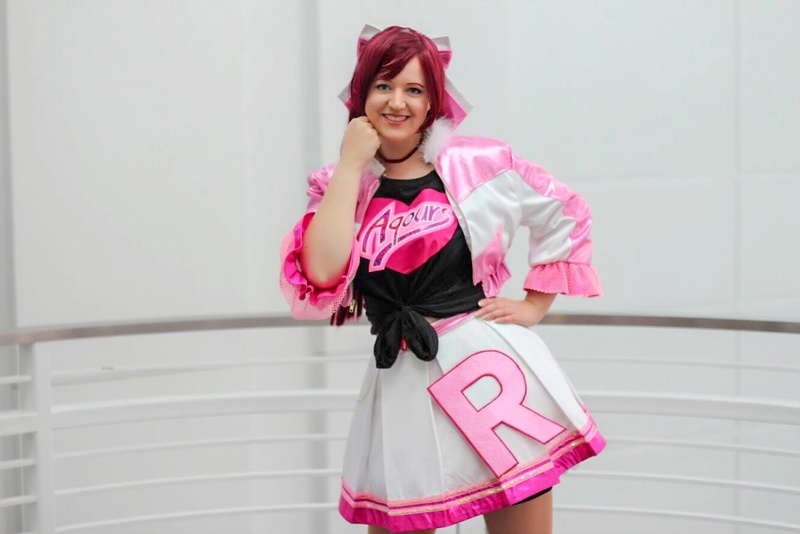 There is so much detail in this costume! The pleats on my pink puffy pants. 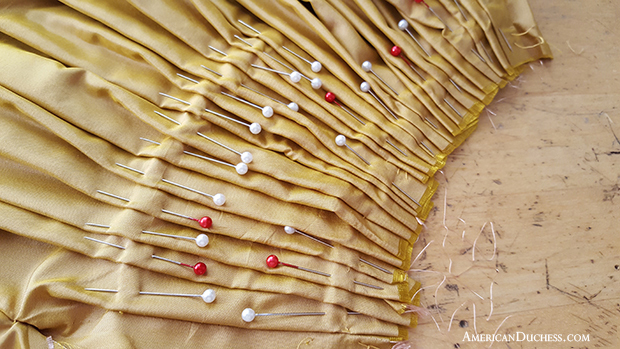 I pleated and finished the waist like a petticoat, split on the sides with waist ties. I've worked through most of the gown as well. The yellow portion of the ensemble is an entirely separate Italian gown. 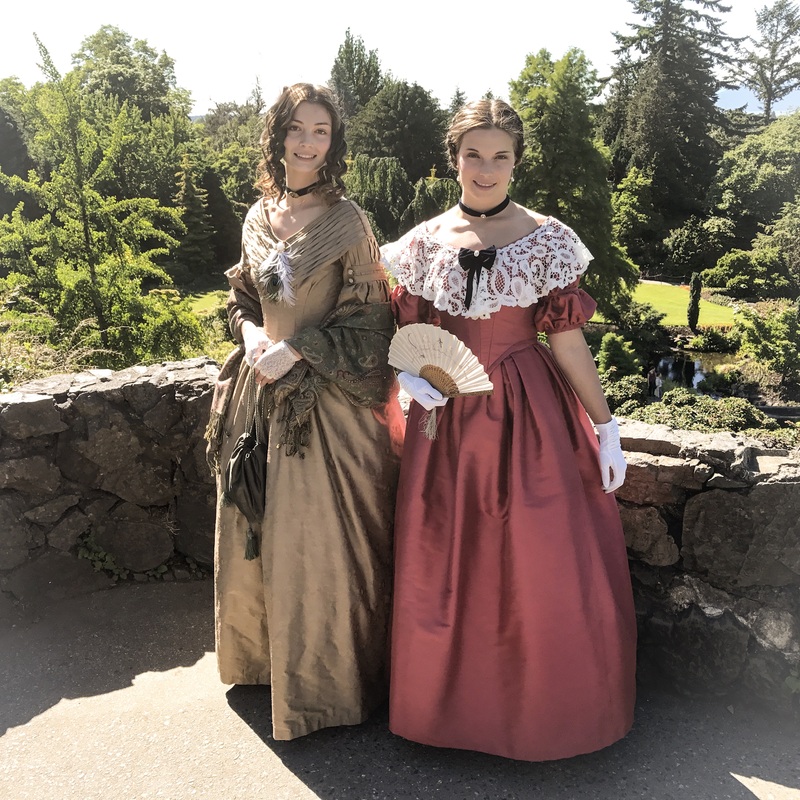 I used a very basic bodice cut on me by Abby, just two pieces and sleeves, but with alterations to the front - I added waist tabs (a trend in the 1780s) and extensions to the center front that fold down to reveal the contrasting lapels. 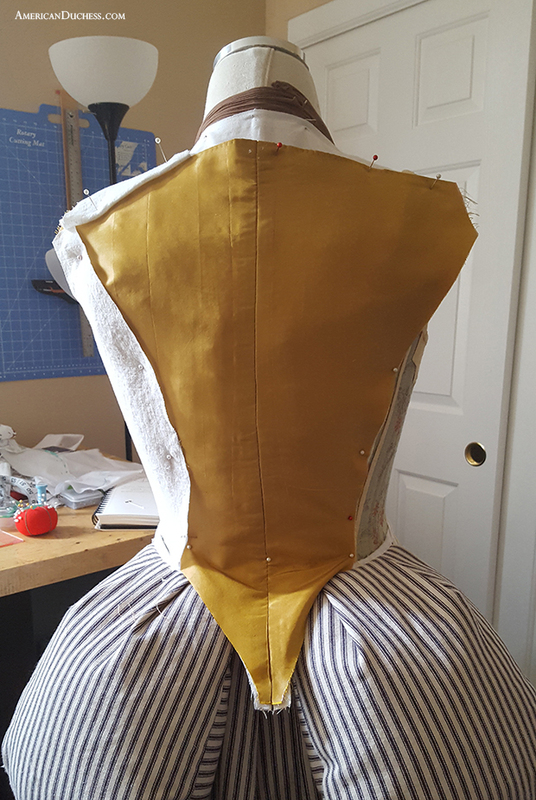 The back of the bodice - in the interest of time, I went with the simplest solution for the Italian gown back, just two pieces instead of four. This CB seam has two boning channels stitched into the lining and a waist tie stitched at the CB. 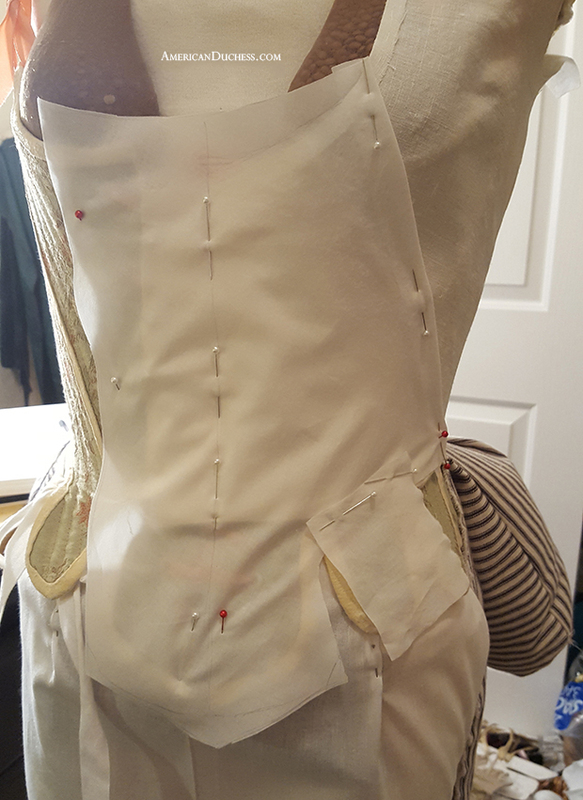 Patterning the bodice front to include tabs and an overlap for the lapels. I made some mistakes here that needed to be corrected by way of fiddling later. 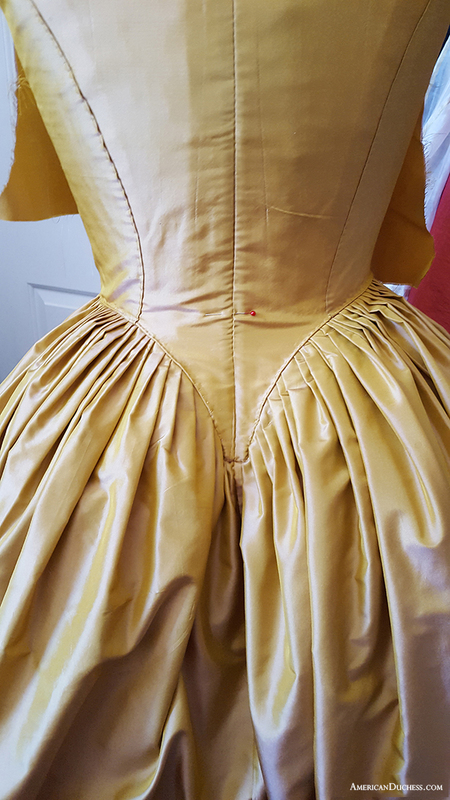 This kind of tabbed bodice was popular in the 1780s. The bodice front alterations were trickier than I anticipated. I didn't cut the tabs high enough at first and they were an absolute bear to finish the edges. Something also went awry with the lapels and I had to fiddle them into submission. I want this gown to be versatile, so I need the lapels to close up flush. That meant a less extreme shape for the points, but they mirror the gown in the painting closely enough. 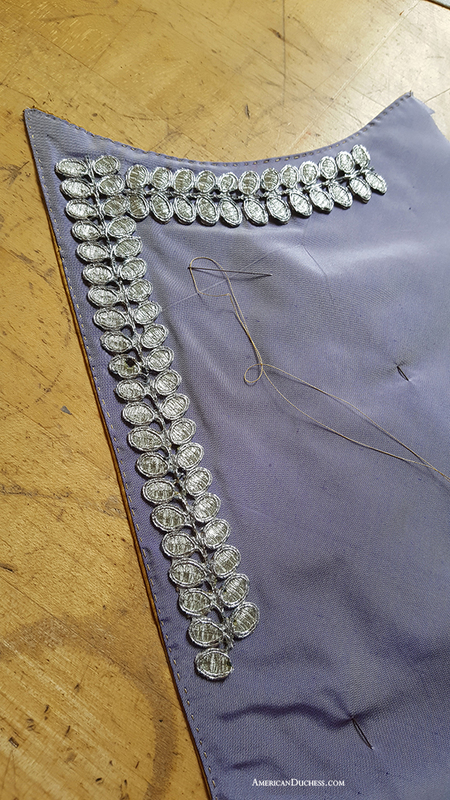 The lapels on the bodice are lined in lavender taffeta and trimmed with a silver leaf pattern trim. I found this on Etsy from an Indian shop. The rest of the gown went together as expected. 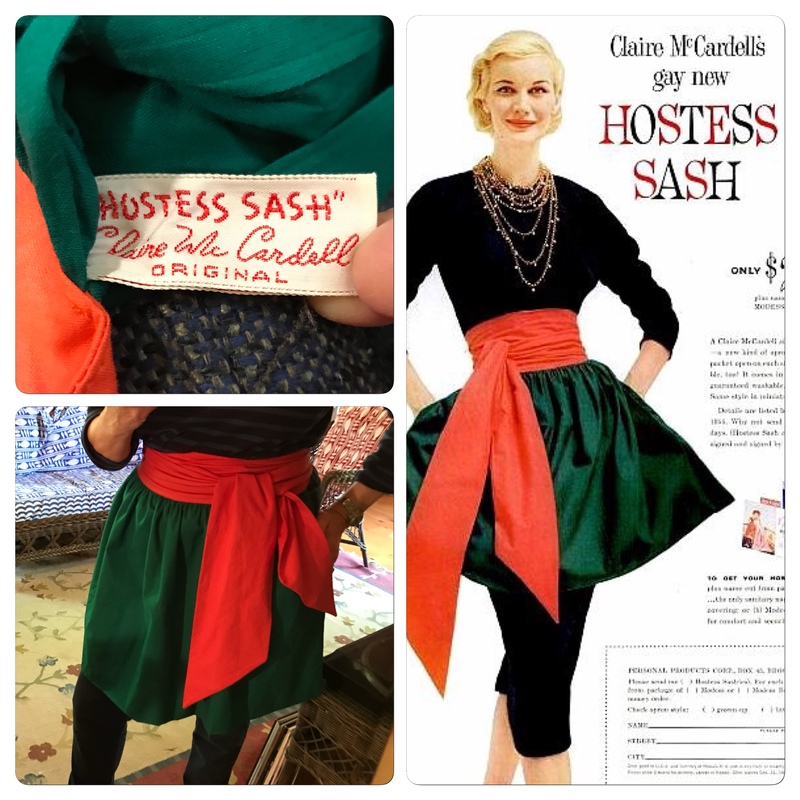 I basted up the waist seam, then lapped it over the pleated skirt using a prick stitch to attach the two and an applique stitch carefully around the point of the bodice. Teeny tiny pleats for the gown skirt - these could have been smaller, too. I pleated, then vertically basted before lapping the bodice waist edge over and prick stitching down. That probably sounds intimidating, so we've included all of these techniques in our book coming out in November. The bodice and skirts attached. 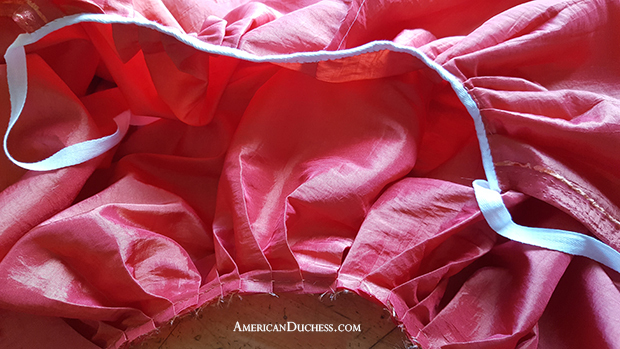 There are a couple ways to do this - I chose to lap the basted-up bodice waist edge over the skirt and prick stitch most of it, then applique stitch around the point. 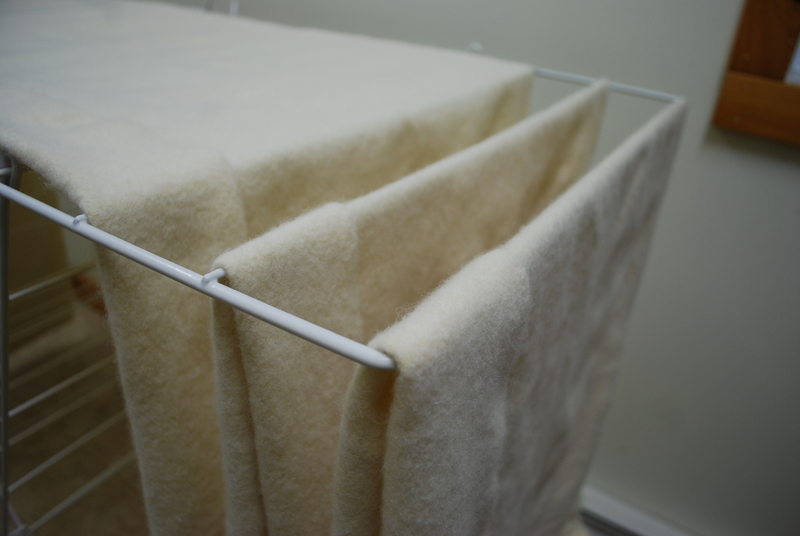 On the inside, the top of the skirt is left raw, split at the center back seam, and folded downwards. I'll show a pick of this later on. 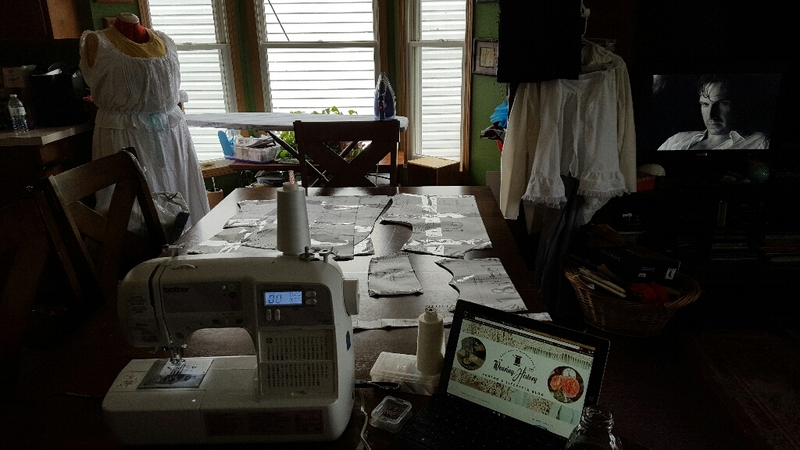 The last operation for the gown is to set the sleeves, yet to be done. 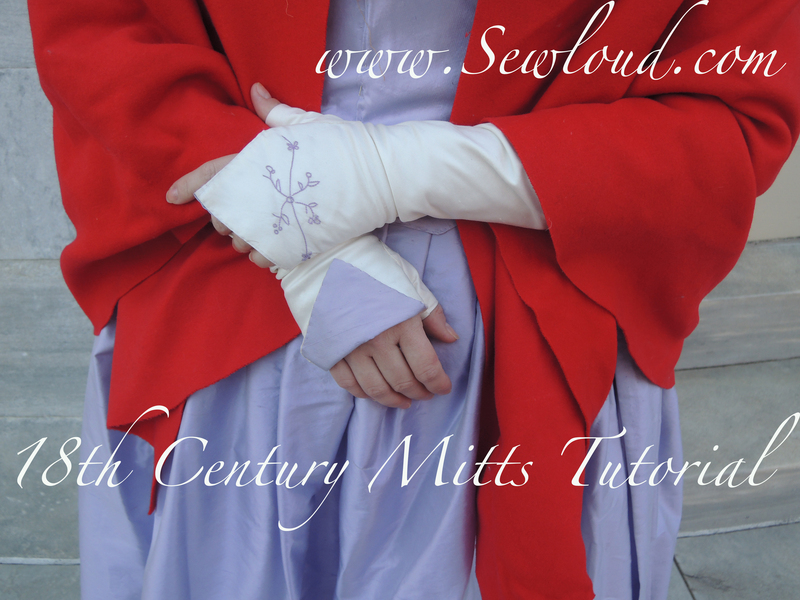 I went ahead and made the sleeve ruffles and stitched them in, before setting the sleeves. 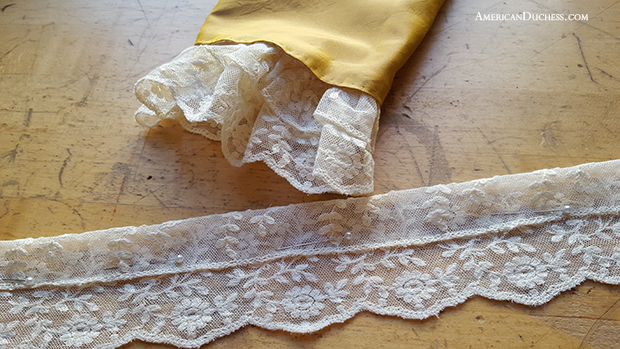 The sleeve ruffles are made from vintage tambour net lace, folded over and whip-gathered to a cotton tape. Next I will work on the Polonaise part of the outfit - the blue robe. I've draped the pattern and cut the fabric, but there is *much* work to be done. More on this part later! p.s. 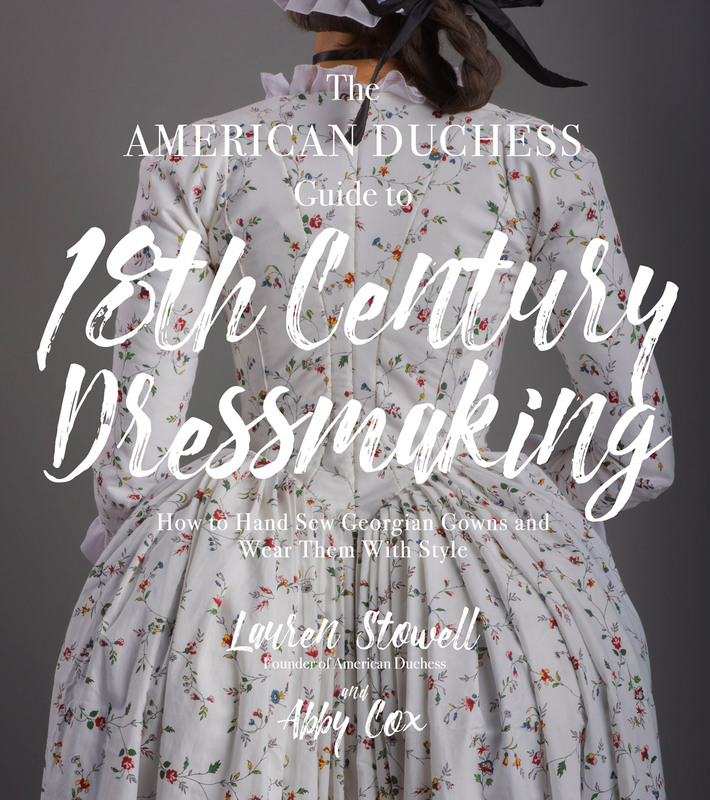 I'm putting this gown together using methods we teach in our upcoming book, The American Duchess Guide to 18th Century Dressmaking. Our book comes out November 21st, 2017 and available to pre-order now - click here. This is going to be great! Love it so far!! I am very excited to see this come together. So many parts! Also I would love to get a closer look at that rump, the shape is luscious from lack of a better word. What size should I get? Do I want to size down in order to have the tightest fit? Do they run small? Can i wear a waist cincher or shapewear under the clothes?? 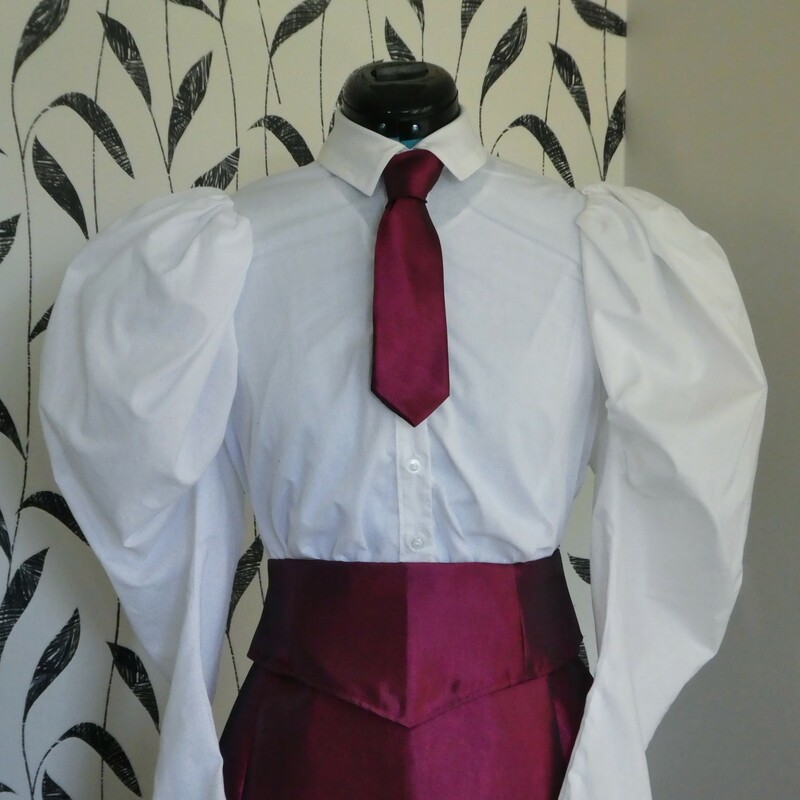 Yes, i also curious that can wear a women shape-wear cincher under the shirt.. Contrary to popular belief, I don't spend a whole lot of time following soccer. But as I have traveled around the world to better understand global development and health, I've learned that soccer is truly universal. No matter where I go, that's what kids are playing. That's what people are talking about. I've always believed fitness is an entry point to help you build that happier, healthier life. When your health is strong, you're capable of taking risks. You'll feel more confident to ask for the promotion. You'll have more energy to be a better mom. You'll feel more deserving of love.